Mix the honey, lime juice, chili powder and garlic together and toss with the shredded chicken. Let it marinate for at least 1/2 hour (or toss together in a Ziploc bag and let it sit in the fridge for a few hours if you have time). *Tip: Spray your measuring spoon with cooking spray before measuring out the honey and then the honey will come right out without all of the sticky mess. Spray a 9x13 pan and a 9x9 pan with cooking spray. Pour enough enchilada sauce on the bottom of each baking pan to create a thin layer on the bottom. 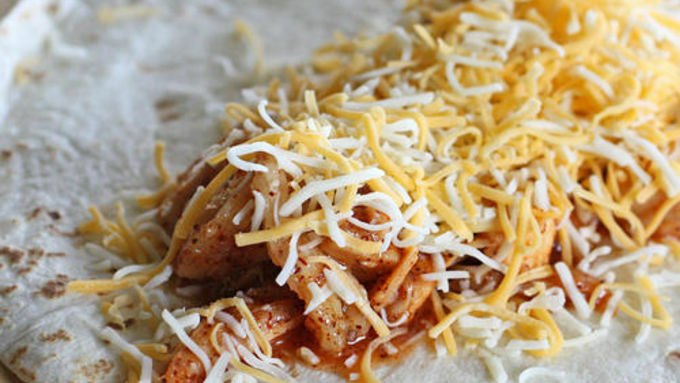 Fill flour tortillas with chicken and shredded cheese, saving about 1 cup of cheese to sprinkle on top of enchiladas. Mix the remaining enchilada sauce with the cream and leftover marinade (you might not need to use all of the enchilada sauce depending on how saucy you like yours). Pour sauce on top of the enchiladas and sprinkle with cheese. Bake at 350°F for 30 minutes until brown and crispy on top. Serve with sour cream and rice. I could eat Mexican food every day of my life and not get sick of it. Growing up in Arizona, it felt like we actually did eat Mexican food almost every day. I’m always looking for a recipe to add to my Mexican repertoire to spice things up, but nothing can replace these Honey Lime Enchiladas. Not only are they extremely easy, they seem to evoke all kinds of emotions from people. I had one man tell me these enchiladas saved his marriage. He told me his wife was a terrible cook but now that she started making these once a week, he only has to choke down her meals the other six days. I even had a woman tell me she started crying when she first tasted them. While I’ve never actually cried when eating these, or made them to save my marriage, they are one of my favorites. 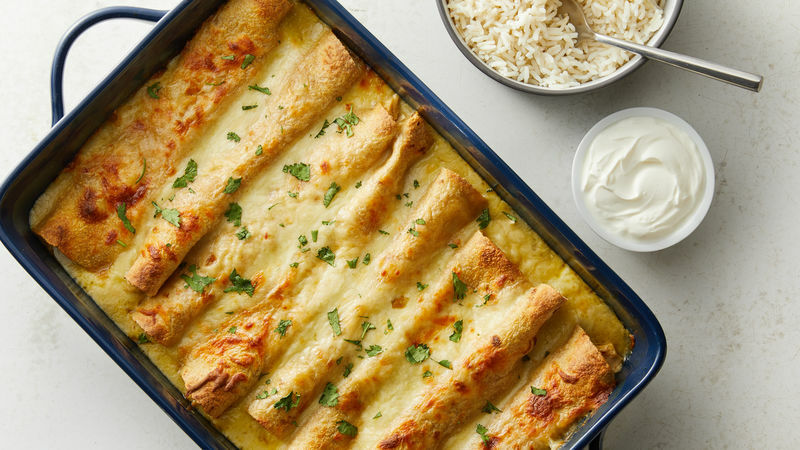 This recipe makes two pans of enchiladas so you can feed your family and freeze some for later. Or even better, take your extra pan of enchiladas to a friend who is sick or who just had a baby. Just beware for the array of emotions that may follow when they eat them.